F is for Flor | True story. Really. Posted on April 7, 2016	by True story. Really. Lady Spring by Gabriela Mistral presents spring as a happy and colorfully dressed woman. Using images from nature – fruit, flowers, leaves – she evokes rebirth and the reawakening of the world after the isolation, darkness and cold of winter. Spring, she reminds us, brings beauty and life even to the bleakest places, to parched earth and the ‘sad stones’ of the cemetery. *Try as I might, I couldn’t find an English translation of this poem. Not being much of a poet myself, and knowing the limitations of my own Spanish, I know better than to try to translate the whole poem. The translation of the last two stanzas is by me. Corrections are welcome. That image with the flowers and what they stand for is so beautiful. Thanks for translating the Spanish poem. 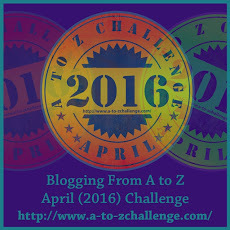 Good luck for the A to Z Challenge. Thank you – picking the images for my posts is one of my favorite things to do. Thanks for visiting! I have just enough Spanish to get the general idea. Thank you for sharing this lovely poem, and for your helpful translation notes. Thanks – mine is about that good as well, though I work on it every day, so I think (hope) I am getting better. I’m glad you enjoyed it, and thank you for visiting! That’s an interesting translation – thanks for sharing it. I also ran the poem through a few translators, but I don’t think I used Microsoft. Interpreting poetry can be tricky even when it’s in your native language, and getting the right sense of another writer’s words can be so elusive. I like that – thanks for coming by and letting me know! Ah! Too bad I didn’t find that back in April.